Delores Walker has been teaching for four years. This year, she is the lab teacher, which was offered to her because she uses technology with her students. She is curretly pursuing a second master degree in TOESL. New Activity:Chomp Test- as a motivation activity and to explain controlled variables. Chomp is defined as a "big chew." 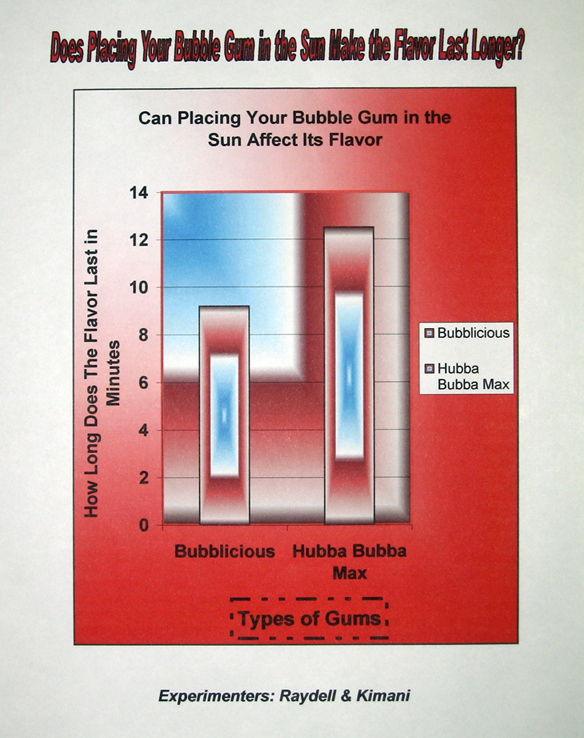 The controlled variables were using the same brand of gum, and chewing for 30 seconds. Experiment - Students created their own experiments to determine which conditions could make the taste last longer. For example, one group thought the heat would affect the sugar in the gum. Learned about scientific investigation. They learned how to design an experiment after forming a hypothesis. Designed and conducted scientific investigations. They had to collect and analyze data. Presented their findings by creating charts and graphs. 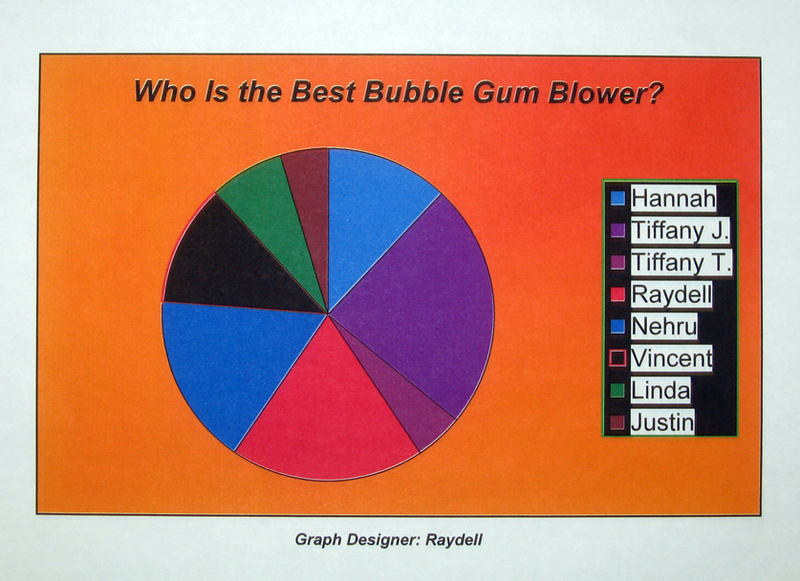 Students used the internet to learn more about bubble gum. Used Microsoft Word to type their science experiment worksheet. Digital pictures were taken as students blew their bubbles. They used Microsoft Excel to create their graphs. 1) Students had to answer a series of reflective questions. 2) Students' science experiment worksheets were reviewed to make sure they had completed it accurately and to provide assistance if necessary. 3) Students final products were assessed to determine if the students had selected the appropriate graph to represent the data. 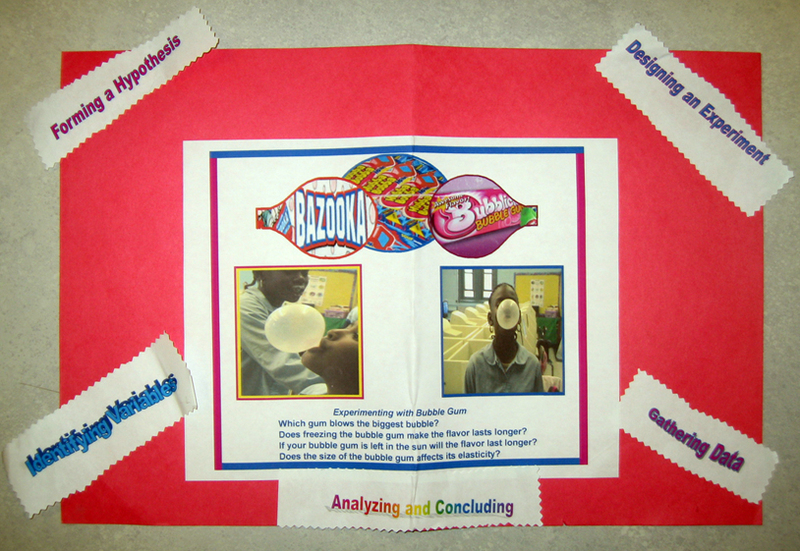  For younger students, the teacher could have students to conduct a simple experiment using bubble gum. For example, the chomp test, which I used for motivation, could be done with young students. Provide them table charts so they can insert the number of times they chewed the gum. Create a class graph by listing across the board the various totals and have each student place a post-it above the number that represents him/her. Transfer this information on a graph.  Teachers could modify the experiment by having the students measure the circumference instead of the diameter (see question #2). They could do this by cutting strips of paper and use them to measure the blown bubbles.